4.5 out of 5 stars based on 219 votes. That’s why in this in-depth article you’ll not only learn where and how to open an offshore bank account in 2018, but also how to ensure it’s the BEST and safest account you can get. We’ll also cover five excellent countries where you should consider opening an account and three popular offshore banking destinations that you are better off skipping. In this section you’ll learn the three top reasons to open an offshore bank account… and the one important reason NOT to. 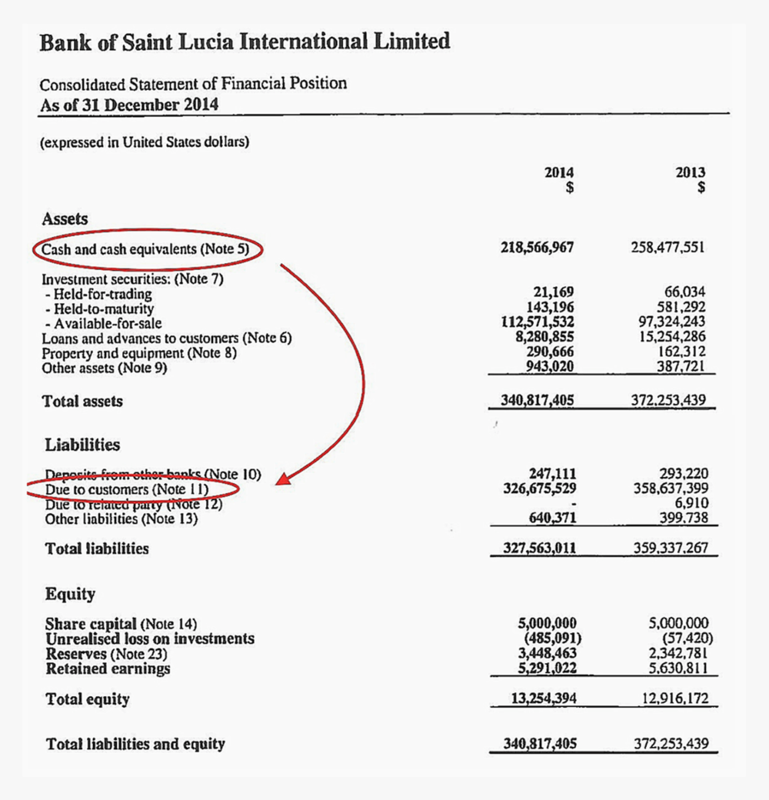 Warning: Why you should NEVER open an offshore bank account to evade taxes or to hide money. The unfortunate reality, however, is that many banks in the United States, Europe and the rest of the world are in a precarious condition (and you’ll find concrete proof below…). 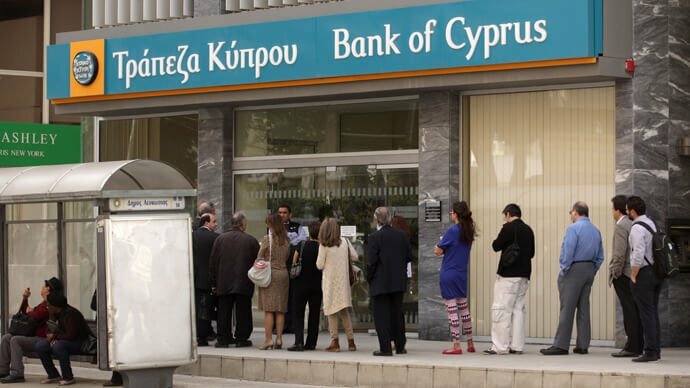 One of the most tragic examples in recent history is Cyprus. On Friday, March 15, 2013, people across the entire nation of Cyprus went to bed believing that everything was OK. The next morning, they woke up to a different reality. The government proclaimed a ‘bank holiday’, and banks remained closed for the next several days. 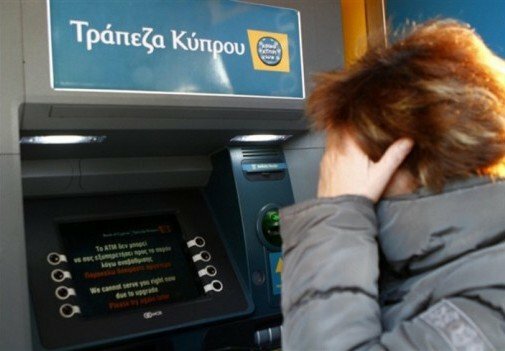 Accounts were frozen and ATM withdrawals were limited to only 100 euros per day. Eventually, a plan materialized: substantial portions of deposits over 100,000 euros would be confiscated in exchange for equity in the banks. And for everyone else, severe capital controls were instituted—some of the worst in decades. One of Sovereign Man’s readers was living in Cyprus at the time. He was able to continue withdrawing as much as he needed from his offshore bank account while everyone else was struggling to pay their bills. In 2008, the world learned the hard way that even western banks aren’t as safe as they want us to believe. Suddenly, OVERNIGHT, some of the largest banks in the world collapsed: Wachovia. Lehman Brothers. Washington Mutual. Dozens of banks vanished — in an instant. And more banks continued to fold. From 2008 to 2012 the Federal Deposit Insurance Corporation (FDIC) had to bail out 465 different banks in the United States. Even in 2017, eight banks had to be bailed out. And 2017 was a year when the United States was doing really well! The stock market was booming, the economy was strong, unemployment was low, and tax revenue logged in at record levels. Still, eight banks went bust. Want to see for yourself? Here’s publicly available data that you can look up yourself. As you can see, bank failures are a far more common occurrence than most people imagine. And while the FDIC is pretty good at paying the money back quickly – usually within few business days – the experience is still nerve wrecking. And — don’t forget that and any amount over $250,000 (the FDIC’s upper insurance limit) will be lost. Even if you manage to find a domestic bank that is quasi-safe, they will still find a way to screw you. Wells Fargo is just one of many recent examples – they charged their clients up to 26 times more on currency transactions than agreed… and opened millions of accounts without their customers’ consent while charging fraudulent fees along the ways. And Wells Fargo is considered a good bank. After a short period of deleveraging, US banks acted as if nothing had happened. They picked up right where they left off and now hold a record amount of derivative instruments (we’ll show you some actual numbers below). And not even a decade after these risky loans nearly brought down the entire global economy, subprime is back. In fact, it was the fastest growing “asset” among American banks. In the aftermath of the 2008 Global Financial Crisis, the FDIC was able to bail out these banks with the help of the federal government. That alone racked up mountains of new debt to help the failing banking industry. The next time another financial crisis hits – and it’s just the matter of time – the government may not be able to provide the billions of dollars needed to help failing banks. The US’s financial position is in an abysmal position already. The government’s debt burden now stands at $21 trillion today (105% of the country’s GDP)… up from $9 trillion back in 2007 (63% of GDP). That’s 21 with twelve zeros, by the way. And if the government can’t “bail out” failing banks (by using taxpayers’ money and borrowed fund), what could it do? That’s where “bail in” may come into play. 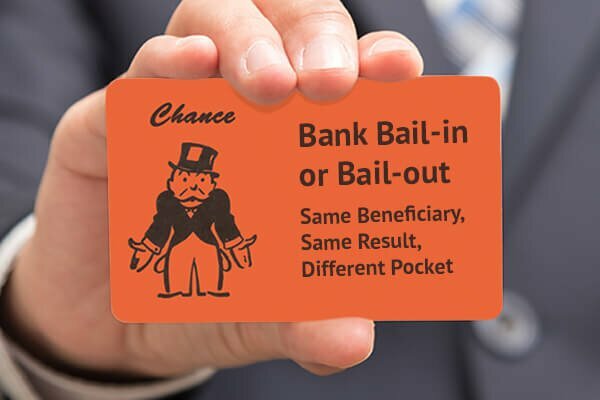 With a bail in, the bank depositors themselves foot the bill… and can lose all or part of their money. 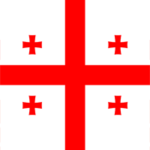 It was already successfully enacted in Cyprus in 2013. There is no guarantee that it won’t be done in other countries as well, including in the US. Choose your bank wisely, and don’t simply assume that your bank is in good condition. The good news is that in 2018, it’s no longer necessary to restrict yourself to the confines of your home country. It’s possible to establish a bank account in a stable country that has little debt at a bank that is well capitalized and liquid. We’ve analyzed the banking systems and financial positions of more than 20 countries. What we’ve found is that many banks are in precarious shape but that you can still find safe options offshore. 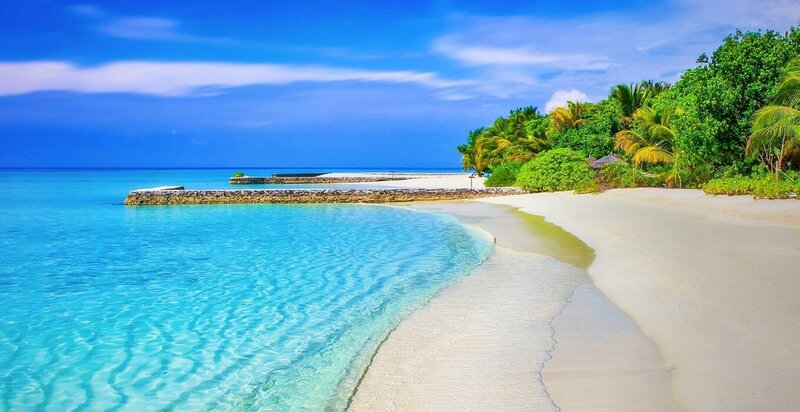 Mind you, when we say ‘offshore’, we aren’t necessarily talking about tax havens, such as the Cayman Islands, which is what comes to mind when most people hear the word. Instead, we define ‘offshore’ as any place outside of your home country. If you are an American and bank in UK – it’s offshore. Here’s a table comparing some of the most important financial figures of a few onshore and offshore banks. Lowest derivatives exposure among major US banks. Liquidity is not reported, but likely is very low. Required multiple bailouts from Italian government to stay afloat, including €8.1 billion in July 2017. Click on the bank name to see the financial statement from which we calculated the figures, and hover over the assessment for a more detailed description. In this table, you can see the most important financial metrics of a bank. They help you assess a bank’s ability to weather a crisis. A bank’s liquidity is the proportion of depositors’ funds that it holds in the most liquid assets. Only cash on hand and deposits with central banks are included in this calculation. A healthy bank should maintain adequate (or even excess) reserves. If there’s a financial shock and a run on the bank, the bank should have sufficient funds on hand to pay you (without needing to sell other assets). Liquidity calculation example from our Ultimate Offshore Banking Guide & Comparison. The higher this number, the better. Most US banks have less than 4% of customer deposits on hand. Solvency describes by how much a bank’s assets can drop in market value before its liabilities become greater than its assets (i.e. the bank becomes insolvent). A healthy bank holds strong capital reserves on its balance sheet, so that if some of its assets go bad and become unrecoverable, the bank still has enough funds to cover its depositors and creditors. A derivative is a financial contract that derives its value from an underlying asset. Warren Buffett calls derivatives “financial weapons of mass destruction”. The value of derivative contracts is based on estimates, so reporting them accurately is very tricky. During normal times, derivatives may not pose excessive danger. However, in case of a major financial shock, the value of these contracts can decrease dramatically, quickly wiping out the bank’s solvency. Granted, some banks do indeed use derivatives wisely, mostly for hedging risks (say, currency exchange or interest rate risks). But most western banks use them widely for profit trading, hoping that bad times never arrive. We consider a derivatives exposure of more than 10 times the bank’s total assets to be high-risk. To learn more about these metrics and how to analyse a bank for safety, I encourage you to download our Ultimate Offshore Banking Guide & Comparison. Liquidity. Citibank’s liquidity is 2.5%. That means that if more than 2.5% of its customers withdraw their savings at the same time, the bank will run out of money. Ordinarily, this kind of thing wouldn’t happen. But amid serious financial shocks, bank runs do occur… and in such a situation, it is indeed possible that 2.5% of all of Citibank’s depositors would want their money back at the same time. Solvency. Citibank has a solvency (a.k.a capitalization) metric of 10.9%. Viewed alone, this number is more than adequate. But when a bank is as illiquid as this one is, solvency must be much higher to compensate. So, if more than 2.5% of their depositors would want their money back, Citibank would have to sell some of its assets in order to raise cash. The problem is, in a financial shock, is that the sale of assets does not happen in an orderly way. Asset sales in a financial shock are more like fire sales. Asset values are plummeting; you don’t get reasonable market value. You get distress prices. Citibank will need a cushion far greater than 10.9% if it is to sell its assets quickly. Derivatives. But Citibank’s biggest problem is its exposure to derivatives. At 25 times the bank’s total assets, the bank’s derivatives exposure is enormous… and one of the highest we have ever seen, anywhere. In case of serious financial shock, this could damage Citi’s finances beyond repair. And how do offshore banks compare? Of course, not all offshore banks are created equal. For example, you don’t want to bank in Italy’s Monte dei Paschi di Siena – the oldest bank in the world still in operation today. However, without periodic bailouts from Italian taxpayers, it would have closed its doors several years ago. The most recent capital injection chimed in at a cool €8.1 billion in July of 2017. And there are such options. Plenty of them. In this section, we’ll show you that many offshore banks can offer a MUCH better financial position than your domestic bank. Additionally, when considering a bank account abroad, there are a lot more things that you should pay attention to… such as the stability of the country. As you’ve learned, not all offshore bank accounts are created equal. If you are not careful, your new overseas bank account may turn out to be an even worse custodian of your wealth than the risky one across the street. Learn the exact step-by-step process our team uses to determine if a bank is safe inside this free preview of our in-depth Ultimate Offshore Banking Guide & Comparison. How to go beyond the bank and evaluate if the government, central bank and deposit insurance scheme can weather a financial storm. How the United States & European banking systems compare to the rest of the world. Without an offshore bank account, your assets are exposed. If you hold 100% of your funds in the same country where you live and work, then you’re taking on some significant legal risk. Why? You’re holding all of your eggs in one basket. Your assets are at even higher risk if you are living in the “Suenited” States—the most litigious country that has ever existed in the history of the world. In the US, you can be sued over anything and everything. A kid breaks his leg on your front lawn… someone you dated decides to be entitled to your assets… you baked cookies for the school social that had peanut butter and someone decides you owe them hospital money after getting sick. Suddenly, all of your assets — and all of your life’s savings — are frozen and you’re left without cash to fund your defense… All your assets are up for grabs by frivolous plaintiffs. Any court or government agency can also freeze you out of your bank account with a single phone call, without any due process and without giving you the chance to make your case. It’s truly a “guilty until proven innocent” system. Holding some funds overseas in an international bank account can help provide an insurance against this risk. Your home country’s court decisions stop at the border. Think of banking offshore as a very low cost way of ensuring that, no matter what happens, you’ll always have access to emergency funds. Who is Offshore Banking for? Offshore Banking is for honest, hard working people who are concerned about obvious frivolous litigation, civil asset forfeiture, high-risk western banking practices and balance sheets, and the constant overreach of government agencies gone wild. These are legitimate concerns for honest, law abiding people who have acquired their wealth through hard work and legitimate business. Since the beginning of the Global Financial Crisis in 2008, major central banks have slashed interest rates to historic lows. Over the last few years, interest rates have remained at their lowest levels in the entire 5,000 years of recorded human history. As of this writing, Bank of America is paying a whopping 0.05% – one twentieth of one percent – annually on any deposit amount. Well, at least it doesn’t charge you for the privilege of “safeguarding” your money. Recently, interest rates in the US have started to climb. The 30-year Treasury bonds issued by the US government are paying 3% as of this writing. You can see the latest results here. But the banks are failing to keep up. Bank of America still pays 0.05% on their 12-month CDs. That’s well BELOW the rate of inflation. If your bank pays 0.05%, but the inflation rate is 2.5%, your savings is losing 2.45% of its purchasing power each year. You need to earn at least 2.5% each year (or even a little more to account for taxes) just to keep up with inflation. In the United States and Europe, achieving such earnings in a savings account is nearly impossible. But there are jurisdictions around the world where safe, conservative, well-capitalized banks pay MUCH higher interest rates– even on US-Dollar deposits. If you are already a member of our flagship internationalization service, Sovereign Man: Confidential, then you have access to our latest Ultimate Offshore Banking Guide & Comparison that shows you several safe banks around the world which pay up to 3.75% on deposits in US dollars – that’s 75 times more than what Bank of America pays today. On the one hand, you could hold all of your savings at the bank across the street from your house. If you live in the US, Canada or one of many other western countries, chances are this bank will be illiquid, insolvent, and gambling your savings away on the latest investment fad in the banking business. And it will be headed by a team of executives with insane compensations and very low moral standards. And if this bank goes under, you will have to foot the bill — through taxes in case of a bail out, or by saying goodbye to your deposit in case of a bail in. And for all this privilege, the bank will pay you a miniscule amount of interest that fails to even keep up with inflation. On top of that, if find yourself on the wrong side of some government agency’s list – even if by mistake – you can be frozen out of your account in an instant, depriving you of the funds you need to put food on the table for your family. On the other hand, you could move a portion of your savings to a safe, conservative bank overseas in a jurisdiction with zero-to-low debt and a strong, well-capitalized deposit insurance fund. In case of frivolous litigation back home, no court will be able to freeze your bank account. And this account will pay you a solid interest rate — one that’s well above the rate of inflation, and that actually puts money in your pocket year after year. The choice between the two is a no-brainer. You don’t have to bank entirely offshore: Keep some of your money at home to continue paying your day-to-day bills, and to avoid international transfer fees (that start at around $25 but can reach into the hundreds). Do consider moving at least a portion of your savings into a safe, stable, highly liquid jurisdiction abroad… one that is out of reach of your government and of litigators, and that can weather a financial crisis. Unless you want to spend the next several years turning large rocks into small rocks while wearing an orange jumpsuit. Due to Foreign Account Tax Compliance Act (FATCA) regulations, now literally every financial institution in the world must report their American clients to the IRS. And while the US did not sign up for the Common Reporting Standard (CRS) – a global tax and information sharing exchange also known as FATCA on steroids – as of May 2018, 83 countries have signed up for this system. All major banking destinations are on the list. With these reporting mechanisms in place, the risk of getting caught is high… and the punishment can be severe, especially if you are from the US, where tax evasion is a criminal offence. In Switzerland, for example, you can be fined for this, but will not go to prison. There is a very big difference between illegal tax evasion and completely legal tax reduction and planning. For starters, US citizens living abroad can claim the Foreign Earned Income Exclusion (FEIE) and earn $104,100 annually, tax-free, in 2018. And US citizens living abroad also qualify for the Foreign Housing Exclusion. The amount you can save depends on the place you live: The IRS will allow you to deduct more if you’re in Japan, than, say, in Nicaragua. But usually, it amounts to another $15,000-$20,000. Another option is to take advantage of Puerto Rico’s amazing tax incentives. A few years ago, the government there passed a number of tax incentive laws, the most famous of which are known as “Act 20” and “Act 22”. Act 20 allows entrepreneurs to start certain types of businesses there and pay just 4% tax. Act 22 allows individuals to generate unlimited investment income, subject to a few simple rules, and pay zero tax. So, if you are an investor or business owner, you can use Puerto Rico to slash your taxes to a negligible amount. If you own a business, consider forming a captive insurance company. And just about everyone can maximize contributions to an IRA or 401(k). A conventional IRA, for example, allows you to contribute up to $5,500 if you’re under the age of 50, but if you switch to a 401(k), you can contribute up to $18,000 per year. If you own a small business, then you’ve got even more options. With a Self-Employed Pension (SEP) IRA, you can potentially contribute up to $54,000 per year for your retirement. The bottom line is, don’t plan to use your offshore bank account to evade taxes. Use proper, legal tax planning for that. 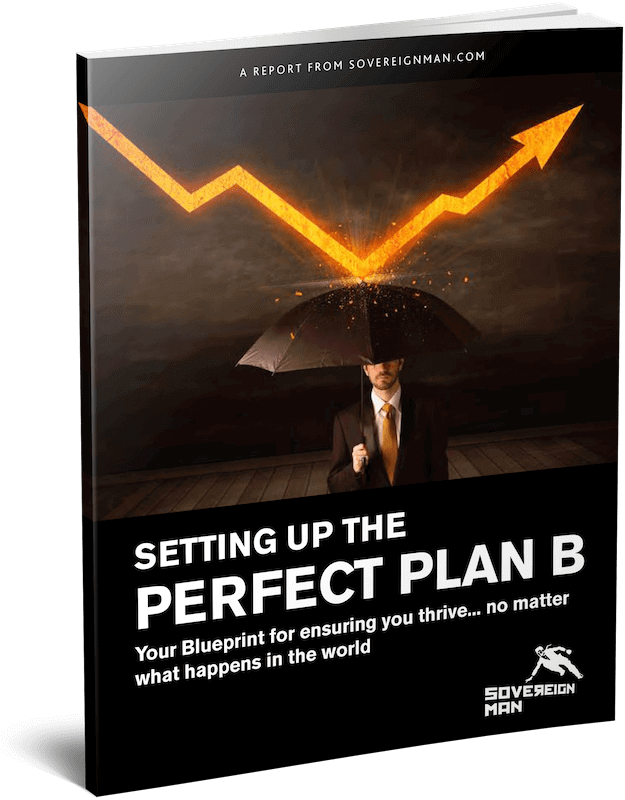 If you are looking for an offshore bank account, because you want to reduce your taxes… Consider downloading our free Perfect Plan B Guide. You’ll also learn many other useful strategies, such as how to generate strong returns while taking minimal risk, and how to obtain a valuable second passport. Plenty of offshore advisors will tell you to open a bank account in the jurisdiction they know the best, without having your best interests in mind. If you are looking for the best offshore bank account, your offshore bank will need to go through a serious selection process. First, you want your foreign bank to be safe. We already covered how to tell if the bank is liquid and solvent enough to withstand a serious financial shock. But besides the bank itself you also need to analyze the jurisdiction, particularly the deposit insurance scheme of the country, the strength of the central bank and the financial situation of the government itself. 1. The first domino is the bank itself. Is it solvent and liquid? Will it fail during a financial shock? 2. The second domino is the country’s deposit insurance institution. In the United States, this would be the Federal Deposit Insurance Corporation (FDIC). However, analysing safety of deposit insurance fund is usually a useless exercise. All such schemes are designed to help depositors in case of occasional bank failure. Such funds usually hold less than 1% of all eligible deposits they are supposed to protect. In case of a country-wide banking crisis, a deposit insurance scheme can help very few people. And some countries, such as Panama, don’t even have deposit insurance scheme. 3. 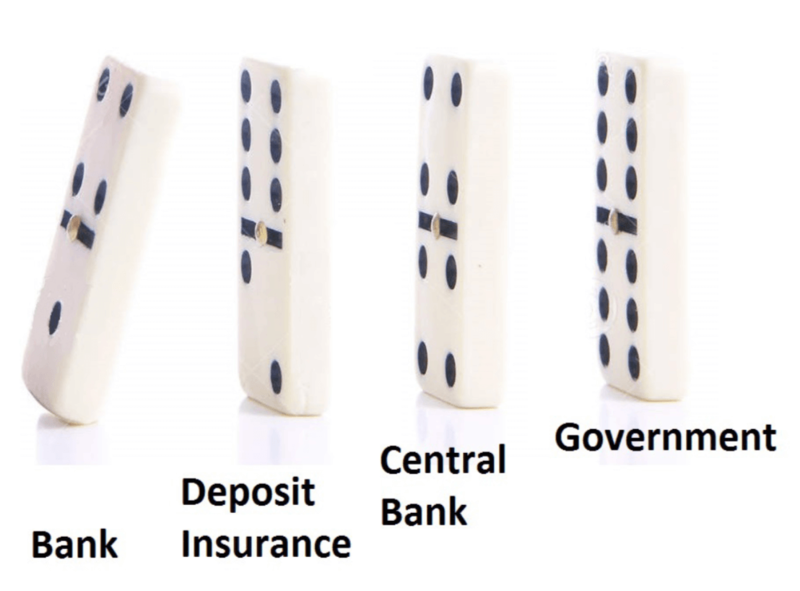 The third domino is a country’s central bank. Is it solvent (well-capitalized)? Any central bank is just a bank, and it financials can be analysed. In the case of the Federal Reserve, the answer is a definitive no, it is not solvent. In fact, the Fed’s audited 2017 balance sheet shows a pitiful solvency ratio of 0.93%… as in nine-tenths of one percent. We like to see this number to be above a full 10%. Other factors to look for: Are its deposits backed by gold? Can it actually rescue its country’s banks if need be? And, finally, the last domino piece is the government of the country where your new bank account will be located. Look for countries with stable governments, a history of economic stability, low levels of corruption, and conservative banking practices. For example, you do not want to bank in Venezuela today – corruption and crime are rampant there, and the economy is in severe crisis. If you’re not sure how to answer these questions, that’s OK. We’ve created a comprehensive report that shows you, step-by-step, exactly how to analyse all four domino pieces to ensure that both the bank and jurisdiction you’re considering are safe and stable. Inside, we also give you the results of our own in-depth analysis of 32 banks in 22 countries. If you are already a member of our flagship international diversification service, Sovereign Man: Confidential, you can download it in your member area. If you are not a member yet, you can download a free redacted preview that includes three countries and the step-by-step process on how to analyze a bank. It took hundreds of hours and a team of several analysts to do this in-depth, boots-on-the-ground research to reveal the best offshore banks in the world. We’ve unearthed many great banks in multiple jurisdictions that open offshore bank accounts for US citizens and other nationalities. But here, we’ve winnowed the list down to just five places for you to consider. In this list, you won’t see classic Caribbean “offshore tax haven” jurisdictions, such as the Cayman Islands or the British Virgin Islands. Instead, we focus on established, high-quality banks in respectable jurisdictions that are doing business with real people, not just with folks hiding from the tax man. 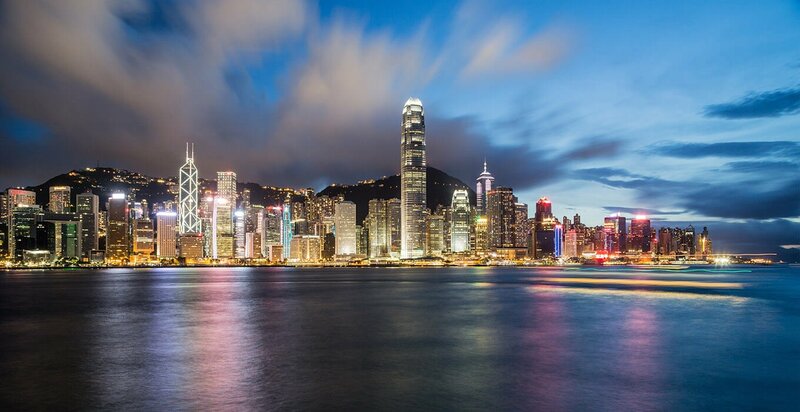 Hong Kong is one of the world’s most reputable international financial centers — the perfect blend of East and West. Banks in Hong Kong are very liquid and well-capitalized. That even includes the subsidiaries of US banks. For example, Citibank Hong Kong Limited is a subsidiary of a US bank. Ordinarily, we are not fans of US banks. But while Citi Hong Kong is a subsidiary of Citigroup, the Hong Kong operation functions as a completely separate business unit. It is subject to Hong Kong’s banking regulations and capital adequacy requirements, not those that apply in the USA. Hong Kong’s banking system is incredibly sound by global standards. Hong Kong is at the top of a very short list of solvent jurisdictions in the world where we truly and wholeheartedly can recommend opening a bank account. Historically, it was very easy for a foreigner to open a bank account in Hong Kong. We know people who, 20 or 30 years ago, just picked up the phone and had it done in a few minutes. But Hong Kong became one of the region’s most prominent financial centers and is now awash with cash. So now, some Hong Kong banks have become much pickier about which clients they take, requiring deposits upwards of $50,000 — or even $100,000 — from foreigners. However, you still can open a bank account depositing as little as US $1,300 in Hong Kong if you are willing to jump through a few hoops. We cover the exact steps and banks inside our Ultimate Offshore Banking Guide & Comparison Report that you can download here. 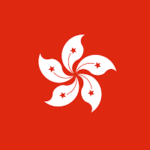 The bottom line, therefore, is that Hong Kong remains an excellent banking jurisdiction. But, if you are in the region already, and you have read the Hong Kong section of our banking report, we encourage you to give it a try. It’s well worth the effort. Get our free Ultimate Offshore Banking Guide & Comparison preview to get step-by-step instructions on how to open a bank account in Hong Kong. 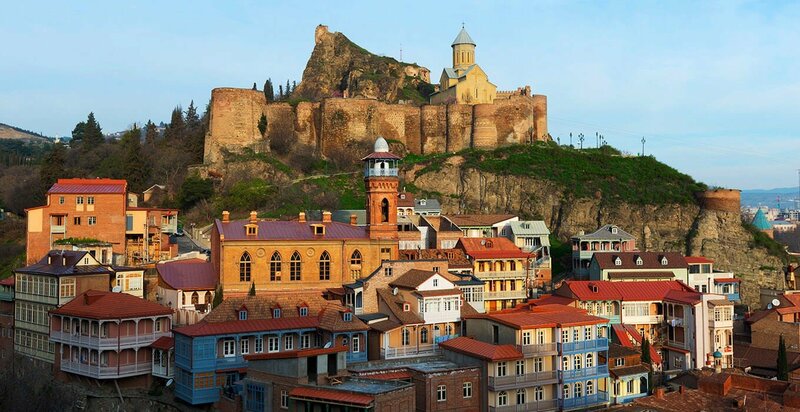 After years of civil war following the collapse of the Soviet Union, today, Georgia is one of the safest and least corrupt countries in the world. It tops many “ease of doing business” ratings, and Georgians are proud of that. In its post-Soviet years, Georgia has also become an excellent banking jurisdiction. Total deposits across the banking sector – when compared to the country’s GDP – are low, making it relatively easy to bail out Georgia’s banks if needed. Georgia’s central bank solvency is 12.8% — a very good margin of safety. But most importantly, Georgia today could be the world’s least bureaucratic country when it comes to opening bank accounts for foreigners. The easiest offshore bank account experience of our very own Sovereign Man founder, Simon Black, happened in Georgia. This is telling. Simon has traveled to over 130 countries, has multiple bank accounts worldwide and even owns his own bank. He got a new bank account in less 20 minutes there (personal presence is required) and deposited only 11 Georgian lari (less than $5 US) to fund the annual account maintenance. All he needed was to show up with his passport. No filling out pages of anti-money-laundering know your customer (KYC) forms, no need for proof of address… nothing. This is a breath of fresh air after having to deal with so much bureaucracy around the world. Note that Georgia doesn’t have a deposit insurance scheme. So if your Georgian bank fails, you can indeed lose your deposit…. unless the government bails out the bank. But the likelihood of a bank failure is probably not a major concern. We found a liquid and well-capitalized Georgian bank where your money should be quite safe. Not only that, but the bank pays more than 3% on certificates of deposit. You can get access to our complete report about it if you are already member of our flagship international diversification service, Sovereign Man: Confidential. If you are already a member of our flagship international diversification service, Sovereign Man: Confidential, you can find our latest Ultimate Offshore Banking Guide & Comparison in your member area. Inside you will find a much more in-depth analysis of dozens of banks in over 20 banking jurisdictions. By reading this report, you will learn which banks are the world’s safest, which banks pay the highest interest rates on CDs (over 3.5% in USD and even more in local currencies). You’ll even receive precise, step-by-step instructions on how to open an offshore bank account without ever leaving home. If you are not a premium member yet, you can also download a free preview of this report here. 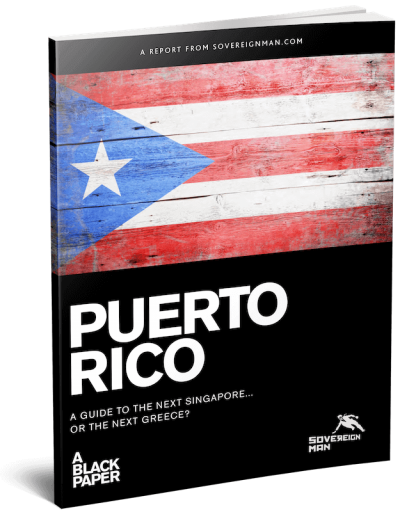 The preview includes three countries, the step-by-step process on how to analyze a bank for safety and much more. First, let’s get the elephant out of the room. You are probably aware of the Panama Papers scandal from a couple of years ago. Thanks to that, Panama is suffering from an image problem. Yes, there’s a long list of politicians and crooks who used the services of the Mossack Fonseca law firm to hide income or immorally acquired funds. We recommend you never do that and we’ve actually advised our members against using that firm several years prior to the scandal. But most of the Panama Papers uproar was just ballyhooing by people who don’t understand (or don’t want to understand) how offshore works… or why it’s so essential to the global economy. To be clear, despite what the Panama Papers scandal indicated, it is 100% legal to open a foreign bank account. There is nothing “scandalous” about moving a portion of your savings elsewhere, just as there is nothing scandalous about moving yourself elsewhere, or going on a vacation abroad, or buying goods made overseas. The world is a global economy. That means money is global, too. One of the factors that makes banking a pleasure here – at least for US persons – is that Panama is a 100% dollarized economy. That means you will be dealing with US dollars as a depositor. On top of that, Panama is just a short flight away from North America, so the physical presence requirement to open an account can be easily met if you reside in the States. We spent weeks crunching the numbers and visiting multiple banks in the country, and we can tell you that Panama’s banking sector is on solid footing. 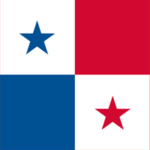 Panamanian banks are liquid and well capitalized. Additionally, the government’s debt position of 39.1% is manageable. However, there are potential downsides to banking in Panama. Here at Sovereign Man, we focus on providing objective, rational advice, so we bring up drawbacks, too. There is no deposit insurance scheme in the country. Instead, when a bank goes under, Panamanian bankruptcy laws mandates that accounts with $10,000 or less get paid first. And if the failing bank is not liquidated, but rather restructured or being sold, that law does not apply. Also, over the past couple of years, there were two instances when smaller Panamanian banks were charged with money-laundering by the US. Those banks had to be restructured, and in one instance, depositors lost a portion of their savings. This means it’s essential to pick a bank with a stellar reputation and do a thorough financial analysis. We’ve described the process in the free preview of our Ultimate Offshore Banking Guide & Comparison. Or, you could become a member of Sovereign Man: Confidential and save yourself the trouble. We found a bank that meets all these requirements. Recently, it partnered up with a prominent German bank that is often considered to be the safest bank on the planet. This move is a strong vote of confidence in the Panamanian bank. 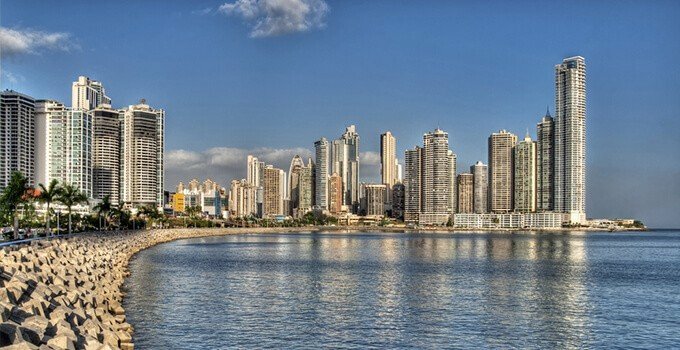 The bottom line – the Panama Papers scandal should not deter you from considering banking in Panama if that is a jurisdiction that works for you. Just make sure you pick the best bank to work with in Panama. A tiny German-speaking principality sandwiched between Switzerland and Austria, Liechtenstein has perfected the art of banking. 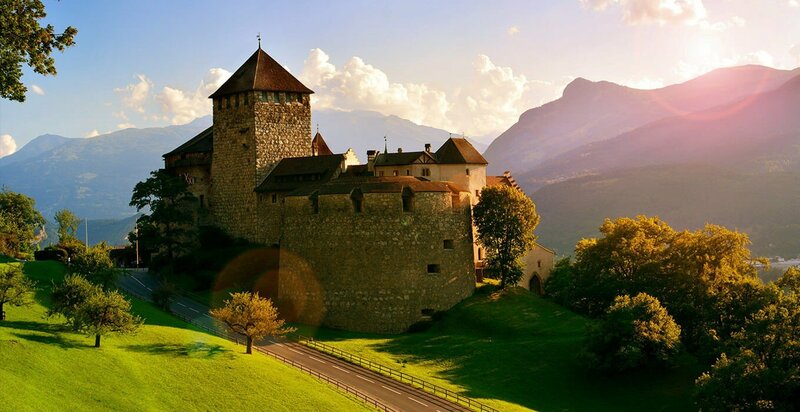 Liechtenstein has long been known as one of the top asset protection and private banking jurisdictions in the world. The country is in compliance with all major directives and treaties for anti-money laundering and tax regulation initiatives, and it is rightly seen today as a well-regulated, blue-chip, offshore (technically onshore) destination. With salaries almost double that of its neighbors, Lichtenstein handpicks the best people from Swiss banks to work for them. Not a single bank in Liechtenstein needed ANY assistance from the state during the Global Financial Crisis. The country’s banks are conservative and well-run. And the government has zero net debt. In other words, it’s a solid place to open a foreign bank account. Keep in mind, however, that Liechtenstein does not bother providing transactional banking to non-residents and focuses instead on high-end services (but does that extremely well). Translation: You need to be a High-Net-Worth Individual (HNWI) to consider Liechtenstein, as they only deal with big money. The minimum deposit requirements we have seen in the country start at $250,000. 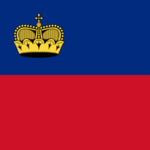 That said, if you are looking for a private bank, rather than a transactional bank account, we think Liechtenstein should be on your radar. You may even benefit from the close relationship between Liechtenstein and Switzerland. Sure, in recent years, Switzerland got few black eyes from the US and other governments in relation to tax evasion schemes Swiss banks practiced for their clients around the world. But despite a somewhat tarnished reputation, Switzerland is still in fantastic financial health and is still a great place to bank. Similarly to Liechtenstein, Swiss banks usually work only with HNWI. These two economies are closely connected, and many banks in Liechtenstein also have offices in Switzerland and vice-versa. So, American clients of one of the Liechtenstein banks we work with effectively will be banking in Switzerland, not Liechtenstein, because that’s where the SEC-licensed department of the bank is located. This way, you can benefit from Swiss stability without being exposed to the tainted Swiss reputation. The United Arab Emirates (UAE) probably isn’t the first jurisdiction to come to mind when considering banking offshore. 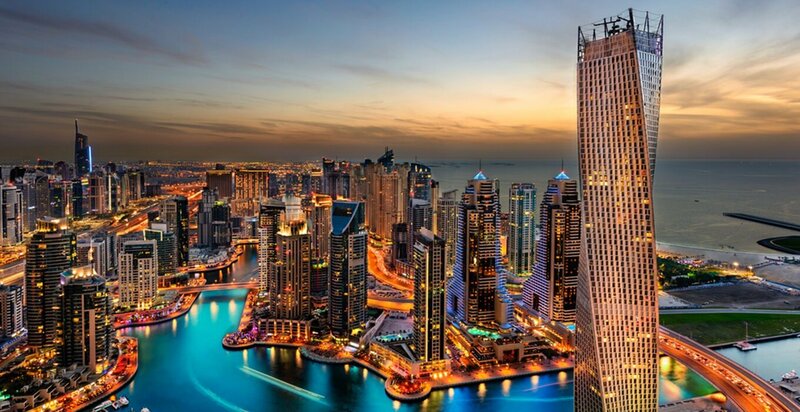 But that may be changing in the future for several reasons, as the UAE has emerged as a go-to banking destination for the region and has attracted a lot of wealth to its shores – from Iran and Saudi Arabia to many African countries. First, the UAE is made of money. Its central bank — and really, its entire banking sector — is backed by the immense wealth of the resource-rich Emirates. The total wealth of the six different national wealth funds that country possesses hovers around $1 TRILLION, overlapping many times its small amount of government debt. Consider the last global financial crisis. The country 100% guaranteed all deposits in the banking sector — of any amount — for three years. Local and international depositors were covered. And unlike broke western countries, the Emirati government actually has the means to fulfill that promise if needed. And second, Arabic banks operate under different standards than western ones. They are much more conservative. Every time we go through a balance sheet of a UAE bank, we are positively surprised. There are some potential drawbacks you need to know about, too, however. Customer service may not be as efficient as what you are used to back home. But we think this is a small price to pay. Then, of course, there’s the general geopolitical tension in the Middle East. So far, the country has been an example of stability in the region, but it’s still something to consider. You will be amazed by the futuristic skylines and the demonstration of unbelievable wealth, and you will open a bank account in one of the safest banks on the planet. In the end, the banking options we uncovered in the UAE are very promising. You can get specific bank recommendations inside our Ultimate Offshore Banking Guide & Comparison if you are already a member of Sovereign Man: Confidential. We’ve done all the hard work and analyzed 32 banks in 22 different jurisdictions. Whether you are looking for the safest account, want to open account without leaving home or want to earn higher interest– we’ve got you covered. Members of our flagship intelligence service, Sovereign Man: Confidential, have access to all of that (and much more) inside our Ultimate Offshore Banking Guide & Comparison. You can download a free preview of this in-depth report here. Where NOT to open an offshore bank account - countries we do not recommend. There are about 200 countries in the world. And frankly, almost all of them are terrible banking jurisdictions. As a foreigner, you probably would never consider banking in Yemen or Chad, so their banking deficiencies will never affect you. But there are countries, however, that are well-known in the offshore world but for various reasons are not good choices for your money at this time. 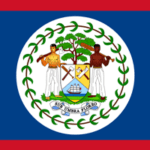 Belize is a former British territory (known as British Honduras) and could be the cheapest and one of the most popular offshore jurisdictions in the world today. It is also one of the most heavily marketed jurisdictions. And one of the least reputable ones. In fact, its reputation is dreadful. 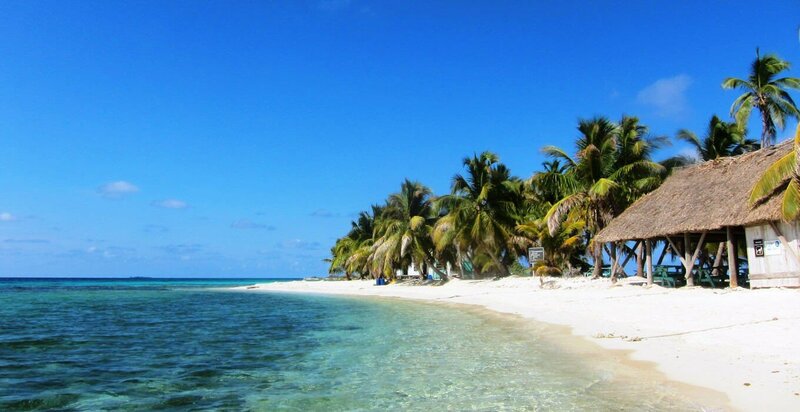 Rampant corruption, relatively high crime, and, most importantly, lack of adherence to international standards of compliance all land Belize on every tax-haven, money-laundering blacklists compiled by the US and other major economies. Thus, considering Belize’s (very) poor reputation, we recommend that you skip it entirely as a jurisdiction where to open a bank account. 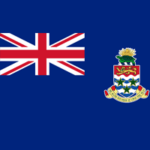 The Cayman Islands is one of the traditional “offshore” jurisdictions in the Caribbean. In fact, offshore doesn’t get more offshore than this. And it shows: Its GDP per capita is higher than that of the US, Canada or Australia. At Sovereign Man, we used to use some of Cayman Islands’ banks and companies and generally were satisfied. But lately, the situation has changed. The Cayman Islands has become too expensive for forming a company, and its banks have become too bureaucratic and unwelcoming. They are shooting themselves in the foot. The inclusion of Singapore on this list may come as a surprise to many. 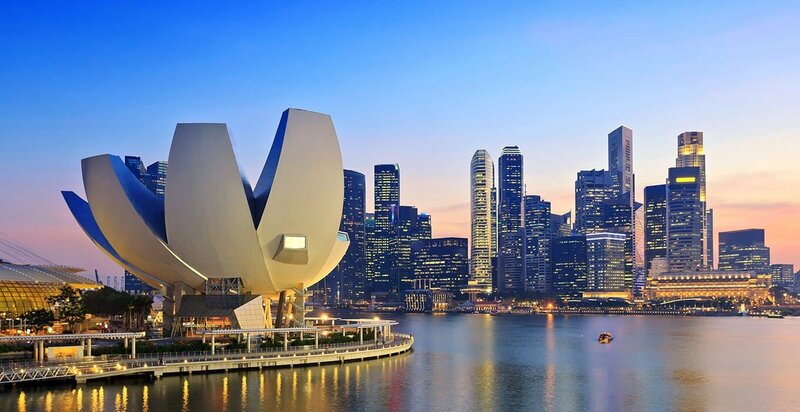 After all, many of our Sovereign Man readers — and even some Sovereign Man team members — have successfully opened bank accounts in Singapore, which remains a solid, safe, well-regarded jurisdiction. But as such, it has become way too popular and successful. Quite frankly, opening a foreign account there is now a real pain — a near-impossible task. Maintaining an account there is even worse. KYC — “Know Your Customer” — is omnipresent. You’re going to be filling out lots and lots and lots of privacy-invading, anti-terrorism, anti-money-laundering, annoying forms. And then you’ll do so again and again. Additionally, banks are closing accounts on even really solid foreign customers. They can cherry-pick whom they want to service, and they do. 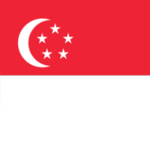 Singapore is still a great jurisdiction for your money, but unless you’re a HNWI, and unless you’re willing to jump through a bunch of KYC hoops, we recommend skipping it and aiming for Hong Kong instead (which is an easier place to deal with). 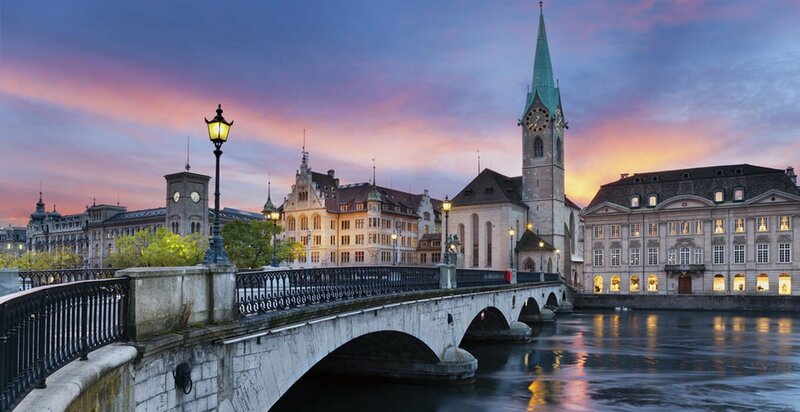 For the most of the 20th century, there was only one primary destination where you could stash money and hide it from the ubiquitous eyes of the governments and creditors – Switzerland. 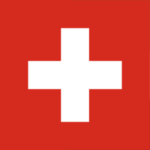 Swiss customer service was famously efficient, banking products excellent, and the rigorous banking secrecy law of 1934 made banking in Switzerland highly discrete. But the secrecy part has suffered serious losses over the past few years. In 2009, the IRS accused Swiss bank UBS of aiding tax evasion, imposing a $780 million fine. The fines have been piling up and increasing ever since, with Credit Suisse having to pony up $2.6 billion a few years ago. The US government is demanding “total cooperation” from Swiss banks. This means an open, one-way flow of information of American account numbers, balances, names, addresses and identification numbers. So just like anywhere else in the world, you can forget about privacy when banking in Switzerland today. And, as we’ve already explained above, hiding from a taxman should never be your focus when considering offshore banking. But despite a somewhat tarnished reputation, Switzerland is still in fantastic financial health and is still a great place to bank. That is, if you can afford a minimum deposit of about $250,000 to $500,000 – Swiss banks don’t bother offering retail banking services to non-residents. They only work with High-Net-Worth Individuals (HNWI). But even if you belong to that category, you should still consider banking in Liechtenstein. These two economies are closely connected, and many banks in Liechtenstein also have offices in Switzerland and vice-versa. So, American clients of one of the Liechtenstein banks we work with effectively will be banking in Switzerland, not Liechtenstein, because that’s where the SEC-licensed department of the bank is located. Yes, even Americans can open offshore bank accounts. It’s sometimes even possible to do it remotely, without leaving the comfort of your living room (more on that below). In fact, all of the banking jurisdictions above accept foreigners. On March 18, 2010, President Obama signed the Foreign Account Tax Compliance Act (FATCA) into law – possibly the worst piece of legislation with his signature on it. And definitely one of the most useless ones. Due to FATCA, every financial institution in the world has been forced to become an unpaid spy of the IRS. Every bank, investment firm and brokerage house had to start reporting on every one of their American clients. If they fail to do that, harsh penalties await… and could mean the exclusion from the US financial system altogether – a death sentence for any financial institution. Canada alone has spent well north of $100 million on FATCA compliance. Institutions in the rest of the world have spent tens of billions. The potential benefit for the US? A mere $250 million per year – a drop in a bucket. So, of course, starting in 2010, many banks and firms started choosing not to work with Americans at all, to avoid the trouble and additional compliance costs. Today, FATCA is well and alive. So is UK FATCA. And now there’s the Common Reporting Standard, or CRS, which dozens of countries — except the US — participate in. It’s FATCA on steroids. Whereas FATCA is a one-way street back to the IRS, CRS is a multiple-lane clusternut that zig-zags back and forth among participants all over the world. 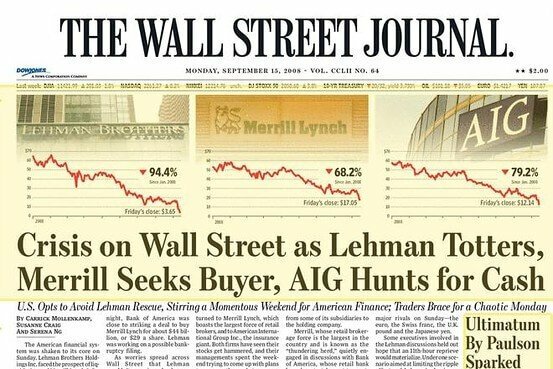 However, the difference from 2010 is that foreign banks of any significance finally invested in reporting, figured out the process and got used to it. Today, the biggest issue for Americans is not finding a fearless bank willing to work with US citizens, but, again, finding a bank that is safe and stable. To set up an account, most banks around the world require you to visit their branch in person. This is called personal presence. Sometimes the process can be quite simple, requiring just a passport and 30 minutes of your time, and sometimes you must jump through many hoops. When opening an offshore bank account, it’s important not to give up if you get denied. Go to another branch of the same bank – they may have more experience working with foreigners and will happily take you onboard. We have seen that happen to us few times in various countries. Always try two or more branches of the same bank. The requirements vary from country to country and from bank to bank. Always inquire with the bank itself before making a trip to make sure you bring the correct documents. Personal ID—Most commonly your passport is enough, but some countries (e.g.. Australia, Canada) require multiple forms of ID. A passport, driver’s licence, and a government ID card will work. Make sure the names match among them. Proof of Address—A utility bill, bank statement or bank reference letter with your address on them is usually sufficient. Note that you may have to translate your documents into the local language of the jurisdiction. Inquire with the bank before the trip. Bank Reference Letter (not always required)—A letter from your domestic bank confirming that you are in good standing with the bank and have not caused them trouble. This is a very common document and your bank should be able to prepare it for you on short notice. Proof of legality of your funds (not always required) — Due to KYC and anti-money-laundering efforts, many banks want to see proof that your money has been earned legally. Your tax return, or a bill of sale on a property or a business can serve that purpose. Personal Reference or Introduction (not always required)—Some banks open accounts for new customers only after someone credible (usually a bank’s active client) vouches for them first. When opening a foreign bank account, it pays to be prepared. Many bank managers are not used to working with foreigners and may not consider things that are simple to do while you are there, but impossible to do once you have left. Do you need an additional two-factor authentication security device for online banking? What restrictions are there for large money transfers, and how can you authorize them? Will the debit card work for online payments? If travelling to another country to open an account in person will not work you, there are still options. Frankly, staying home drastically limits your options, because most banks require a personal visit for Know Your Customer (KYC) purposes. The list of documents is usually the same as outlined in the previous section, but in the “remote” scenario you usually need to mail notarized copies of your documents to the bank, along with a completed application, in order to open a new account. If you are already a member of our premium international diversification service, Sovereign Man: Confidential, you can find several options for opening an Offshore Bank Account remotely in our latest Ultimate Offshore Banking Guide & Comparison. Our team constantly works on expanding the available options, and as a subscriber, you will always have access to our most up-to-date research. We’ve done all the hard work and analyzed 32 banks in 22 different jurisdictions. Whether you are looking for the safest account, want to open account without leaving home or want to earn higher interest– we’ve got you covered. Once again, banking offshore is 100% legal. Not only is it legal, it’s a smart thing to do. BUT, depending on your home country, there may be disclosure forms to file with your tax authorities. This is where people run into trouble with foreign bank accounts: Whether intentionally or not, they fail to disclose the account. And some countries take those violations seriously. The United States is one of them. US taxpayers who have a financial interest or signature authority over foreign bank or financial accounts must file this form if the aggregate value of those accounts exceeded $10,000 at any time during the calendar year. This form includes bank accounts, but also other foreign financial accounts such as a foreign brokerage, or even an offshore precious metals account. The FBAR must be filed electronically each year by April 15th at this website. You can learn more about how to file a FBAR form here. This form is required for US taxpayers who hold certain foreign financial assets, including bank accounts, brokerage accounts, and shares of private companies. The reporting threshold is MUCH higher than the FBAR, and depends on two factors—whether or not you’re married, and whether or not you live in the United States. For example, a single person living in the United States must file the form if his/her foreign financial assets exceeded $50,000 on the last day of the tax year, or $75,000 at any point during the year. But a married couple living overseas doesn’t need to file the form unless their foreign financial assets exceeded $400,000 on the last day of the tax year, or $600,000 at any point during the year. Form 8938 should be filed along with your usual IRS form 1040 tax return. US taxpayers with a foreign bank account should also file a 1040 Schedule B, and check the box in Part III where it asks about foreign financial accounts. Videos & Step-By-Step filing instructions. If you are already a member of our flagship international diversification service, Sovereign Man: Confidential, you can find step-by-step instructions on how to file all of these forms in your member area. We will also notify you of all the deadlines in advance. I hope you can see now that opening an Offshore Bank Account, and moving a portion of your savings abroad, is a wise decision. It will significantly increase your asset protection and ensure you can easily weather another financial crisis. But even if none of that happens, you’ll still be better off, because you can, for example, earn over 3.5% interest on your US dollar savings. We’re living in the 21st century. Our technology is instant, and it spans the globe. Geography is an irrelevant anachronism, especially in finance. Don’t choose your bank because of its convenient location to your home or office. Choose your bank because it’s the BEST, most CONSERVATIVE custodian of your savings… whether that means it’s across the street, or across the planet. Below you can find a list of further resources that will help you make a decision of where and how to open a foreign bank account. 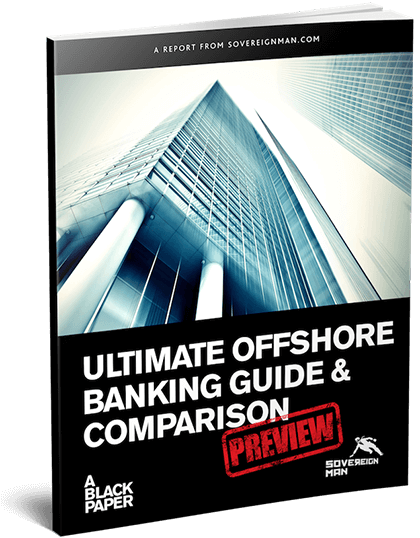 Download a free preview of our Ultimate Offshore Banking Guide & Comparison Report that you can download here to get even more actionable information. Our intelligence reports cover everything from new residency or foreign banking options to how to reduce, defer, or even eliminate your taxes, to incredible investment picks. Members have recently received our latest Ultimate Offshore Banking Guide & Comparison, where we did an in-depth analysis on over 20 offshore banks and banking jurisdictions. Inside you will learn which banks are the safest in the world, which pay the highest interest (over 3.75% in USD and even more in local currencies) and how exactly you can open an offshore bank account without leaving home. Think what we’re doing makes sense? Join over 100,000 subscribers who receive our free Notes From the Field newsletter, where you’ll get real boots-on-the-ground intelligence as we travel the world and seek out the best opportunities for our readers. It’s free, it’s packed with information, and best of all, it’s short… there’s no verbose pontification here – we both have better things to do with our time.